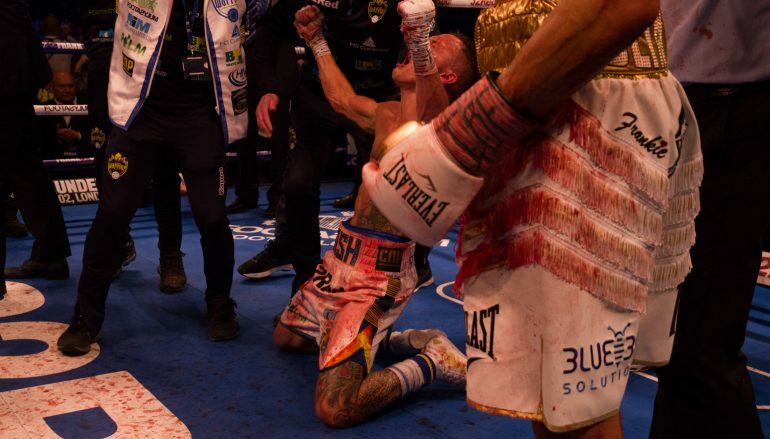 The world title reign of Barry Town’s Lee Selby (26-2, 9KO) came to an end last night in Leeds. The 31-year-old featherweight lost his International Boxing Federation [IBF] belt the to tactically brilliant Josh Warrington (27-0, 6KO) via Split Decision. One judge generously scored the 12-round blood bath to Selby with a 115-113 scorecard but was overruled by 115-113 and 116-112 tallies in favour of the mandatory challenger. More than 25,000 rowdy fans, warmed up by pop-rock band the Kaiser Chiefs, attended Elland Road, the football stadium of Warrington’s beloved Leeds United and it seemed the Yorkshireman simply couldn’t be denied. Selby started the opening on the front foot, using his straight shots to encourage Warrington backwards. Warrington was happy to indulge, instead opting to back off and come forward in short bursts. Surprisingly, it was a trap that Selby fell for throughout the night. An accidental clash of heads cut Selby very badly over his left eye in the second round and it was a sign of things to come. Naturally, it spurred Warrington on and his raiding attacks saw Selby lose composure up close, where Warrington was able to duck under the shots coming his way. Keen to regain control and slow the pace, Selby reintroduced his straight shots in the third round. It worked in slightly slowing the action and Warrington’s accuracy dipped. Heavily bloodied already, it was the last clear session the champion would bank. Selby complained of being hit on the back of the head with rabbit punches twice in the fourth round. It was out of character for Selby to raise a complaint with officials. Referee Michael Alexander finally warned Warrington for the offence halfway through the fifth round. It didn’t interrupt the Yorkshireman’s momentum. 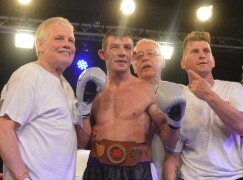 It was unravelling for Selby by the halfway stage. Whilst he never appeared hurt by Warrington, he was uncomfortable and clearly out of sorts. The Welshman’s only break from an intense challenge came when he survived a lengthy inspection from the ringside doctor. 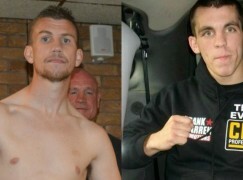 Selby was allowed to continue and was determined to dig in, sitting down on meaty body shots in the seventh round. They were thrown with both hands and landed, though were still unable to deter Warrington’s energy, which by now had the very vocal crowd bouncing. Still attempting to lead the action, not a style associated with the usually back-footed counter puncher, Selby too often lost his shape up close. Poker faced Warrington adapted his shots all night, shorting them to land around, under and over Selby’s defence, who by comparison couldn’t return effective inside punches. Warrington’s punches were quite clearly the more eye-catching and had Selby struggling to find safe spaces to escape to. The sight of Selby retreating to the ropes in straight lines isn’t what fans have been used to seeing. By the closing stages, Selby was leaking blood from both eyes. All of the cuts were results of accidental head clashes. The champion needed a knockout and it wasn’t to be seen. Selby’s committal to tactics that were clearly working to Warrington’s favour may lead the agenda in the internal inquiry head coach Tony Borg and his team will hold in the coming days and weeks. Fighting on away territory and upsetting the locals isn’t an alien experience to Selby. 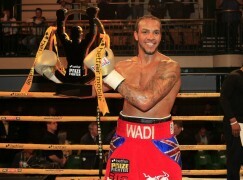 He did it twice notably during a storming British title run, dominating Stephen Smith in Liverpool and Martin Lindsay in Belfast. However, the sheer scale of the event in Leeds was a hostile scene few boxers can be prepared for. Having already left Matchroom Sport’s Eddie Hearn and seemingly far down the priority list of last night’s promoter Frank Warren, Sanigar Events will need to be creative in deciding Selby’s next step. The link-up with mysterious American ‘advisor’ Al Haymon may present a path for Selby and it wouldn’t be a surprise to see him return five pounds heavier at super-featherweight. 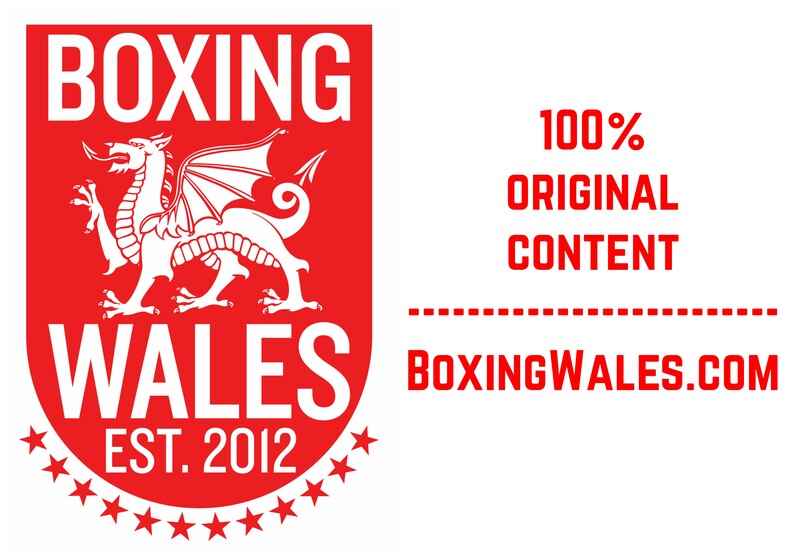 Opening the show six hours earlier, Cardiff’s super-welterweight southpaw Fred Evans (5-0) collected every round against Manchester’s Darryl Sharp (5-34). The 2012 Olympic silver medallist, who is also managed by Sanigar Events, earned a wide decision victory, which was judged to be 60-54 by the scoring referee. 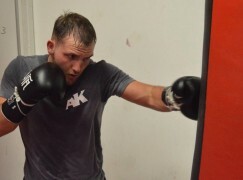 The durable Sharp has only been stopped inside the distance on one previous occasion, which came in the third round against Clydach Vale’s Liam Williams (17-2-1, 12KO) in April. ALL IMAGES SUBMITTED BY LIAM HARTERY.